Places contemporary minimum wage debates in historical context, stressing the importance of political as opposed to economic variables. 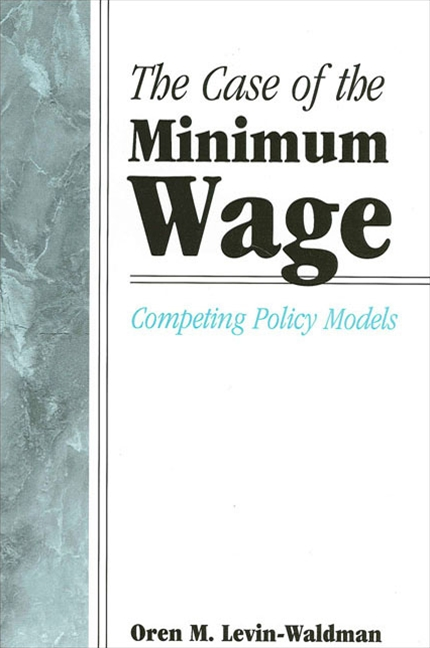 This book traces the historical evolution of minimum-wage policy and explains how models are used (and misused) by different interests to achieve their particular aims. Minimum-wage policy was initially legitimated as a broader labor-market policy aimed at achieving greater productivity and labor-market stability. As organized labor has declined as a political force in the last twenty years, the nature of the debate has metamorphized into a narrowly focused and often highly technical discussion concerned with specific effects of given specific increases in the minimum wage, such as either relieving poverty or the so-called adverse effects on youth unemployment. This change has coincided with the greatest stagnation of the minimum wage.